You have worked hard to build a business and to provide for your family. However, a single business, personal, or contract dispute can threaten to destroy all you have created. When you are faced with a critical moment and each decision can make or break your financial future, you can depend on the Bohn Law Firm. The Bohn Law Firm draws from the experience of its attorneys, all of whom have many years of experience in handling business and civil litigation matters of varying shapes and sizes. Our experience runs the gamut from pre-litigation resolution of civil matters up to and through jury trials and appeals. Our firm has handled business and civil matters of virtually all kinds, including real estate; contractual disputes; claims on behalf of both creditors and debtors; construction; sales and leases; and many others. 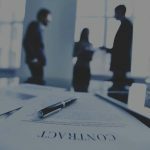 Whether your dispute is large or small, our firm has the expertise to obtain the best outcome for you. Contact us today.